Ever since February or so, I’ve gotten a lot better at spotting editorial changes in manga that I’m reading outside of work. Often it’s something little, sometimes it’s a bit bigger, so I’ve decided to include my notes on where I find the editorial decisions to be a bit lacking along with a review. Sure, I’m only a beginner at this whole editor business, but I figure my two cents can’t hurt and it gives me a little practice on the side! All I really want is to assess a different side of manga in the U.S., so I hope you readers enjoy this little extra perspective and my new take on reviewing manga. Shinobu Oguma is a regular high school girl until she spills milk onto one of her classmate’s bags. Unfortunately for her, the classmate just happens to be the scariest dude in class, Miharu Koguma. Koguma then ropes her into helping his grandmother advertise her kimono shop by walking around in kimono and handing out flyers. Shinobu quickly learns that her terrifying classmate is actually a big softie and the two fall in love. The rest of the volume follows their relationship working at kimono shop together, on their first date, at their school festival and in similar situations. I love the cover, but was a little disappointed by the inside art. Most of my disappointment has to do with Shinobu’s face, which seems a bit off balance too me with her long bangs and super-big eyes. I felt a little bit of the same thing with Koguma, although I feel like Sakamoto will be able to draw him looking handsome more often in upcoming volumes instead of portraying him as scary with those lines across his face. Perhaps Sakamoto just needs time to feel comfortable drawing the characters. Other than that, I was delighted by the rest of the art, especially the attention paid to the kimono, and although the faces bothered me, I wouldn’t say no to this manga just because of that. On the editorial side, I noticed a lot of little mistakes that I would have changed. There was an aside that hit the edge of the art, blending it in with a black background. Another page had part of a letter cut off, although there was plenty of space where the entire word could have been moved to. And finally, on one page I noticed that there was an ‘Uwaaaa’ before a line where a side character was teasing Shinobu. The ‘Uwaaaa’ made no sense there, as the line should have been said straight with a sense of slight disgust,and took me out of the book, as did the other incidences despite their insignificance to enjoying the rest of the book. It says something to me that the editors weren’t able to catch the first two errors, although the last one isn’t an error so much as a stylistic choice. Overall I am really really really looking forward to the next volume where we apparently get to deal with Koguma’s own brother trying to steal Shinobu away! If anything, I am looking forward to excellent way Sakamoto makes such cliches seem original. 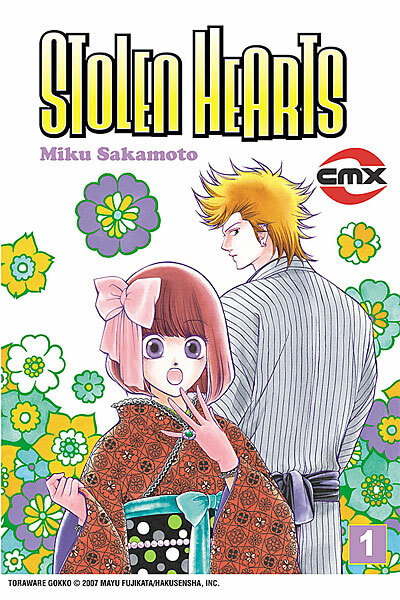 I would definitely recommend this book to girls who love shojo and anyone who’s open to the idea of shojo, but turned off by the idea of a cliched romance story. Review copy provided by the reviewer. So far my blog has been limited in it’s review power because I have to fund my review stack with my rather empty wallet. BUT, for the first time, a publisher has been kind enough to give a review copy! Hurrah! A small manga critic milestone achieved! That being said, this is not the first time I’ve read Ode to Kirihito vol. 1. In fact, the first time I read it was when I borrowed it from a friend in college. It blew my mind. I’d NEVER read anything like it at all. I pretty much thought that all manga was shojo or shonen and that there was little beyond Tezuka than Astro Boy. Yeah, this was only a few years ago. See how far I’ve come? Ode to Kirihito is about Kirihito Osanai, a young doctor working to cure a mysterious disease called Monmow. In order to help solve the puzzle behind the disease’s origins, he is sent to Doggodale by the director of his hospital. Once there, however, he is forced into a relationship with a local woman and contracts Monmow disease himself after a number of incidences of suspicious behavior involving the village people. Convinced he has found the cause of the disease, Osanai attempts to return to the hospital only to meet with unfortunate circumstances and be kidnapped before he gets there. His colleague Urabe and Osanai’s fiancee Izumi attempt to locate the missing doctor, but their attempts are thwarted by Tatsugaura’s campaign to become the president of the Japanese Medical Assosciation. The first thing I noticed while reading Ode to Kirihito was that a fair number of panels had very very sketchy art, but then the art would revert back to normal. I don’t know if this means anything, as I did try and work out if Tezuka was trying for something here, but it doesn’t seem too inappropriate considering the nature of Monmow disease. Still, I wasn’t very fond of the sketchiness. It wasn’t often in scenes that were highly intense (the whole book is intense, but there are varying degrees,) and were often followed by panels with art as clean as day. So whatever Tezuka’s intentions were, they are lost on me. I’m sure everyone’s heard more than enough praise about Tezuka, but I still have to admire him for what he manages to do. Since I’m not a shounen/seinen fan by nature, I prefer particularly well-written shounen & seinen material as well as stuff that seems to defy the gender-based lines that a lot of Japanese manga are written around nowadays. Tezuka manages to jump over that and write and draw something that is truly easy to read no matter what your primary interest in manga is. 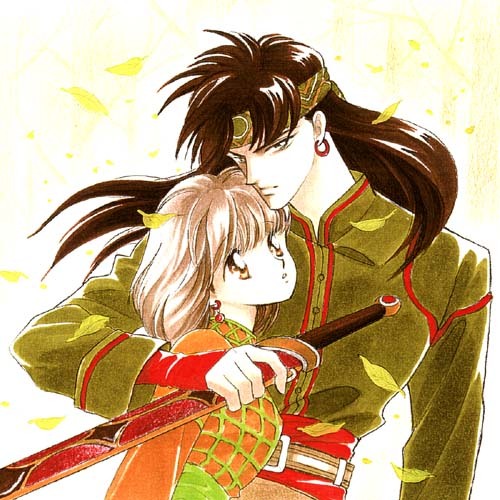 I say this because I was able to eat it up the first time I’d read this manga despite very very little experience with manga of this depth or nature. I think this explains why Tezuka is called a god and why his work is so revered. One other thing I particularly enjoyed were the scenes of extreme mental states, which happens most often when the story switches to Dr. Urabe’s point of view. Since Urabe is at the same time villainous and very much on the side of good, it is helpful to the reader to see his mental state before he does something truly despicable. You might not understand exactly what Tezuka’s drawing, but the message is clear that the break in sanity starts here. At first you want to despise Urabe, but as the book progresses and he throws himself into researching Monmow in Africa, saves Sister Helen and returns to Japan, you find yourself needing to re-think him. The best part is when he re-thinks himself and decides understand what he’s doing wrong and correct it. Since I don’t have volume 2, I can’t say where this character ends up, but I think he ended on a good note in this volume. I think, in a way, Urabe is my favorite character because we get to see his emotional growth a lot more than Osanai’s. Unfortunately, the title character is rather stuck in a rut due to his disease. As readers we pity him, want him to escape his many fates and be cured, but we spend too much time seeing him put in horrible situations and having to escape them than seeing what this does to him mentally and emotionally. Further blocking this development is his resilience of will. Osanai is the good guy who cannot do much wrong. We come to understand when he must resort to acts of violence because he defends himself or another in doing so. That part of him never changes throughout volume one, although the last portions of the book did not involve any of his narrative. I rather hope he drastically changes in the next volume because I’m sick of Osanai being used and abused with little consequence for those that hurt him. Considering how the net is beginning to close around Dr. Tatsugaura, I’m sure we will see something downright vengeful in the next volume. If you haven’t read Ode to Kirihito yet, I highly suggest you do. If you suspect it is not your thing, read it anyway. Think of it as a good education in how entertainment should be: captivating and leaving you craving for the next part. You all remember my little rant about the Twilight graphic novel a few months back? Well, there are definitely two sides of the coin as I am more than happy to write about titles I AM looking forward to. So here’s the first: Peepo Choo. Luckily for Smith, Peepo Choo has been wildly successful and Vertical will be putting it out this year. Peepo Choo is a story about Milton, an otaku obsessed with anime figures and a very popular (fictional) anime called Peepo Choo. He lives in the projects of Chicago and works in a comic book shop in exchange for figures. His boss, Gill, happens to be an assassin and takes Milton and Judy, another shop assistant, to Japan as a cover up fo his next job of offing some yakuza. What comes out of this already sort of weird story is a wild commentary about American and Japanese perceptions of each others’ cultures and the misunderstandings that usually crop up between those perceptions. 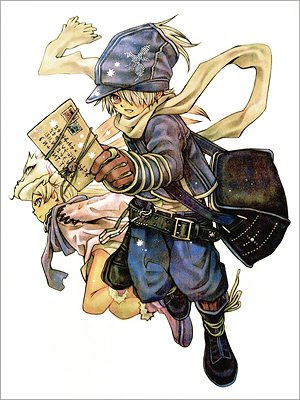 According to this Anime News Network article about his journey from OEL manga to the Japanese industry, Smith has worked incredibly hard on this manga and I am *super*-excited to read it.